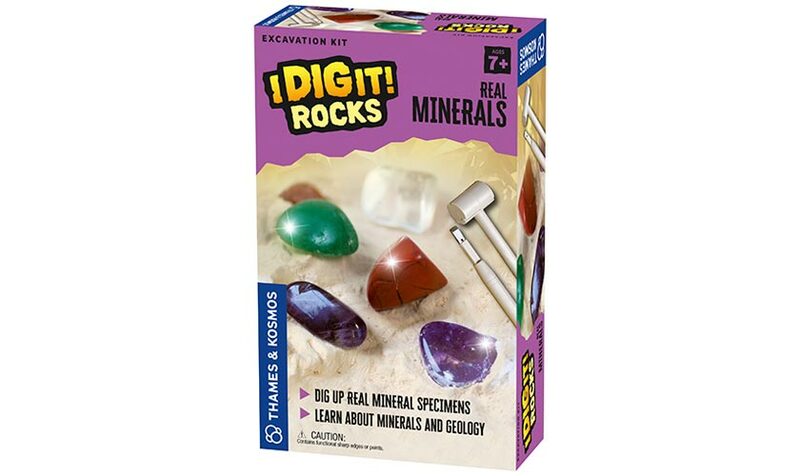 Learn how geologists dig up minerals and gemstones and where you can find them in nature. 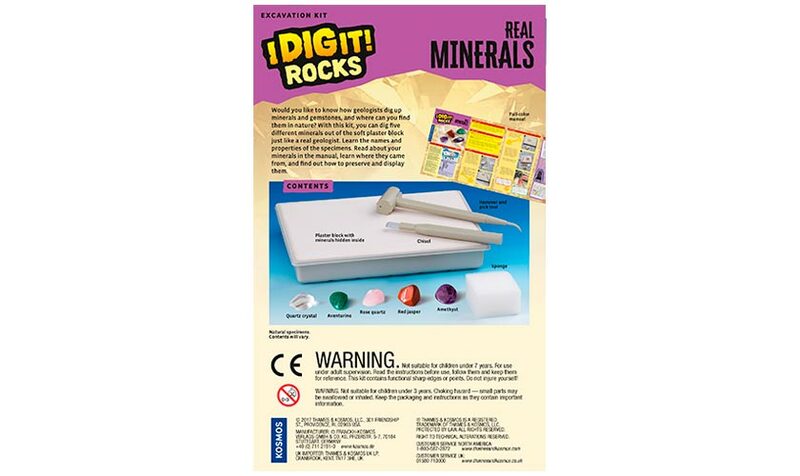 Dig five different minerals out of the plaster block. Learn about the mineral specimens in the manual, including their names and properties, where they came from, and how to preserve and display them. 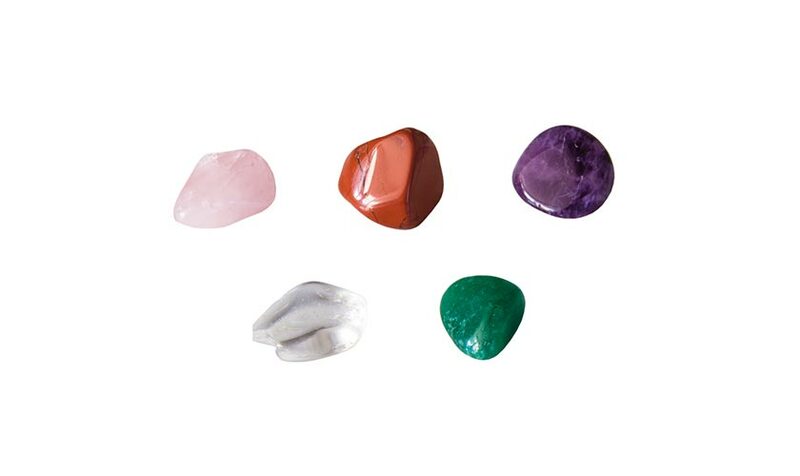 The kit includes specimens of quartz, aventurine, rose quartz, red jasper, and amethyst, and the tools to excavate them from the plaster block.